When I was an undergrad at the University of California, Los Angeles, studying journalism, I ended up taking a class in Chinese history. It was an elective, something different and seemingly unrelated to my journalism major. The course gave me a perspective I never had before: an appreciation for a culture and geography that I recognized only from the pages of the National Geographic magazines I devoured as a kid. The class also changed my life. It influenced my career. Years later, I ended up working in Hong Kong—an opportunity I seized given what I had learned back in school. I then lived in Bangkok and have since traveled extensively around the world. And more than three years ago, I jumped at the chance to join the institution I revered as a child, an organization created to increase and diffuse geographic knowledge: the National Geographic Society. One of our goals at National Geographic is to get the next generation as excited about geography as we are—and always have been. In 1888, 33 top scientific and intellectual leaders met in Washington, DC, at the Cosmos Club and formed a society dedicated to understanding “the world and all that is in it.” Many of these founders were in their 20s and 30s—the Millennials of their day. They sought funding for exploration and were eager to share what they learned. But without Twitter and Facebook, they instead printed a 50-cent journal with a plain brown cover. That is, until Alexander Graham Bell took over as the Society’s president in 1898. Bell was the Steve Jobs of his day—inventor, teacher, and visionary; the original disrupter. It was his decision to make photographs a key feature in the magazine—you could even call it the original Instagram. This caused quite a scandal, and some board members even threatened to resign. But we all know how that turned out! National Geographic has grown exponentially since its humble beginnings. Today, it’s a broad and expansive organization encompassing media, mission, and education. Our brand reach is bigger than ever: 730 million people across the world. The magazine publishes in 33 languages. The channel airs in 172 countries and 43 languages. And National Geographic has the largest noncelebrity Instagram account, with more than 76 million followers—and we won’t sleep until we catch up to Kim Kardashian! Thanks to an expanded relationship with 21st Century Fox, with whom we’ve partnered on the National Geographic Channel for many years, we now have more resources to invest in exploration and education—including an endowment worth more than $1 billion. National Geographic reinvests 27 percent of its revenue—proceeds from for-profit activities such as the channels, magazines, and travel—into work that allows us to pursue solutions to our greatest challenges. We know these challenges all too well: a warming planet, a growing global population, and a race for resources. This is why supporting science and exploration—and understanding geography—is more important than ever. And yet, our young people lack geographic knowledge. In the summer of 2016, National Geographic fielded a survey with the Council on Foreign Relations to try to gauge global and geographic literacy among college-aged Americans. The survey results showed that American students have a lack of understanding of the world and their place in it. When asked whether more Mexicans have left the United States than entered over the past five years, only 34 percent answered correctly that more have left. Less than 50 percent could identify Iraq, Iran, or Israel on a map. Only 29 percent correctly identified the United States as having a larger economy than China. For us, this signaled an opportunity to do more, starting with education. Today at National Geographic, we’re seeking to combine academic and experiential learning earlier in kids’ educational paths. It is critical that we keep pace with how they learn. It starts with cultivating the “explorer mind-set.” We have developed a K–12 learning framework that describes the attitudes, skills, and knowledge that embody the mentality of an explorer—an informed, curious, and capable citizen who makes the world a better place. To help teachers foster this mind-set, we provide a free and robust online library of lesson plans, digital mapping tools, and other activities. 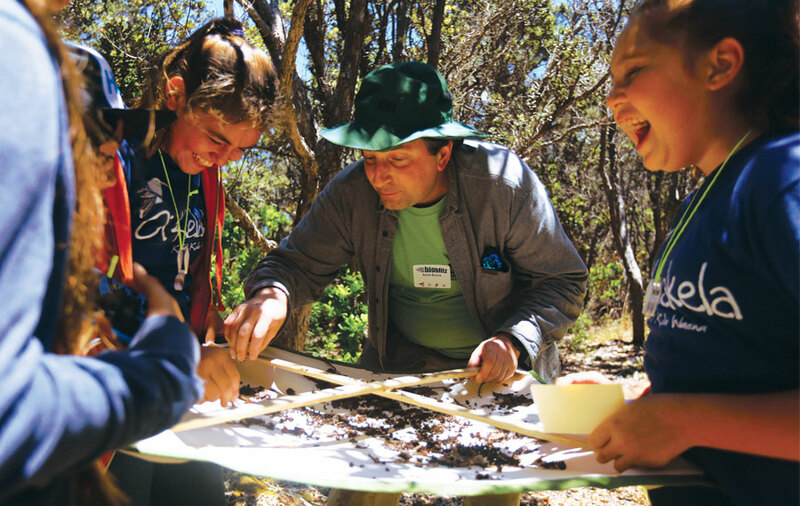 We also publish Explorermagazine for classrooms, engaging more than half a million K–6 students at approximately 10,000 schools with stunning photos and stories about science, geography, and exploration. But we also know the value of experiencing geography firsthand. So we have student matinees where kids can meet National Geographic Explorers; Google Hangouts where they can connect directly with researchers in the field; and programs like BioBlitz—a partnership we had with the US National Park Service—where students of all ages could get their hands dirty out in the parks with rangers, finding their way with trail maps and documenting new species. Finally, this year we’re focusing on Geo-Inquiry, which, similar to Esri’s GeoInquiries, teaches the steps that geographers take when looking at the world, such as articulating questions, acquiring information, analyzing data, and sharing stories about their findings. Recently, we expanded our grant making around the world to encompass a wider set of disciplines—from education and technology to storytelling, which includes mapping. We believe educators and geographers are explorers, too, and we want to make sure they have access to the funding and tools they need to make a difference. While we have supported geographers in the past, these grants have been primarily academic, oriented toward scientific or archaeological research. Our expansion of funding for storytelling, technology, and education is an attempt to cultivate those able to most effectively tell the stories of geography and make it exciting, meaningful, and relevant to students and the public. 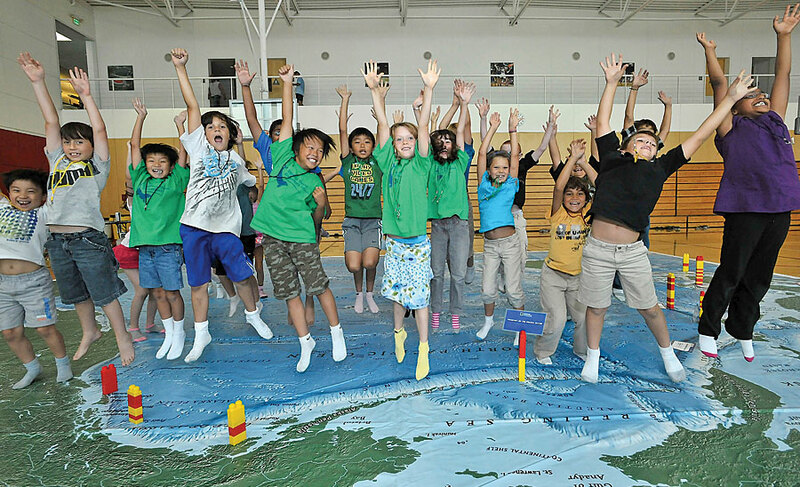 At National Geographic, we are optimistic about geography—and about the next generation of geographic learners. We fund hundreds of grant recipients each year who honor the study of geography and are masters at sharing it, enriching us all as a result. That survey I mentioned earlier? The one that showed a great lack of geographic knowledge? Let me share two other data points from the findings. The survey also showed that the students understand the importance of global and geographic literacy and that they have the desire to learn more. We can’t underestimate the ability of our young people to solve the challenges we face. 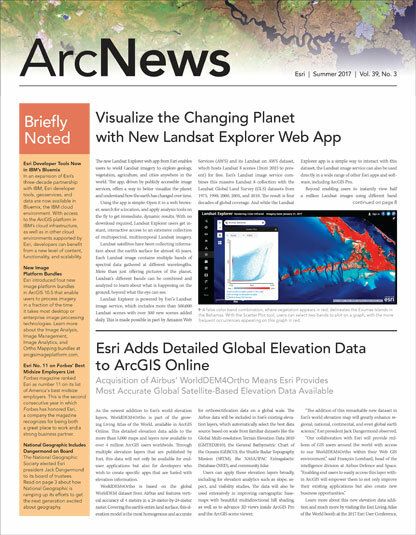 Together with the Esri community, we can give them the geographic skills and tools they need to succeed. We’re looking for geographers! Apply for a grant.